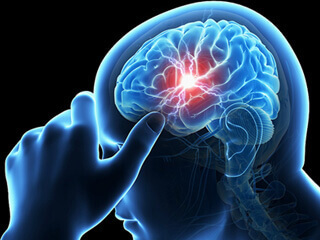 Stroke, as it is well known, is a haemorrhage – where a blood vessel or a group of vessels rupture under fluid pressure, thereby failing to supply blood and therefore, oxygen, to body cells that have always been wired to expect it, thereby causing their death. When this happens to a blood vessel supplying blood to brain cells, cellular death results and the victim can be paralysed partially, completely or can even die. Reducing stroke risks would mean reducing the intensity levels on a multitude of parameters that influence a stroke. It would only be advantageous for one when a person reads up on the factors that affect a stroke – on everything from blood pressure to cholesterol levels. The key elements in reducing the risk of stroke would be to take good care of the circulatory system by keeping it free of blockages and by keeping the blood pressure at a healthy level. Here is a some information regarding few of the parameters which affect a stroke. One must ensure that the blood pressure is well within the accepted limits. Excess pressure can also affect the heart and can strain the walls of the blood vessels. A moderate amount of physical activity every day goes a long way in this. Smoking leads to the formation of fatty buildups in the Carotid artery – the one which supplies blood to the brain. Smoking also makes the blood thicker and also, nicotine, raises blood pressure. All this makes smoking a habit to keep away from, especially in the context of reducing stroke risks. To put it straight, the more salt you eat, the higher would be your blood pressure. Try to avoid excessively salty food. The more salt in the blood causes more water absorption, thereby increasing the fluid pressure inside the vessels. Alcohol should be consumed very less. The healthy limit for men is 2 drinks (60 ml) a day and for women, it is 1 drink a day. A diet free from saturated fats and excessive sugar is the safest. This prevents the arteries from clogging up and also ensures the right cholesterol levels. To know more about stroke or its risks and ways of reducing them, please feel free to get in touch with us.